On Christ the King Sunday, November 25, the Reverend Kendra Buckwalter Smith will preach during the service of worship at 11:00 a.m. in the Sanctuary. Please join us in welcoming her to Shadyside’s pulpit. Rev. 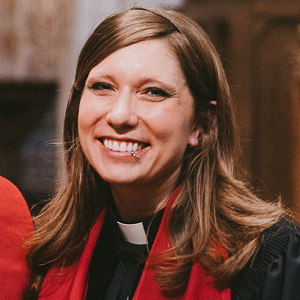 Smith serves as the Director of the Worship Program at Pittsburgh Theological Seminary. A ministerial daughter of our church family, she has attended worship and actively engaged in the life of this congregation since 2004, during her time as an undergraduate student. In 2017, Rev. Smith completed the ordination process with the Presbyterian Church (USA) under the care of the Session of Shadyside Presbyterian Church and was ordained in our Sanctuary. Each Sunday, she regularly leads worship by singing with the Shadyside Presbyterian Church Chancel Choir. We give thanks to God for the many ways in which Rev. Smith shares her gifts in our community of faith. Read more about Rev. Smith.